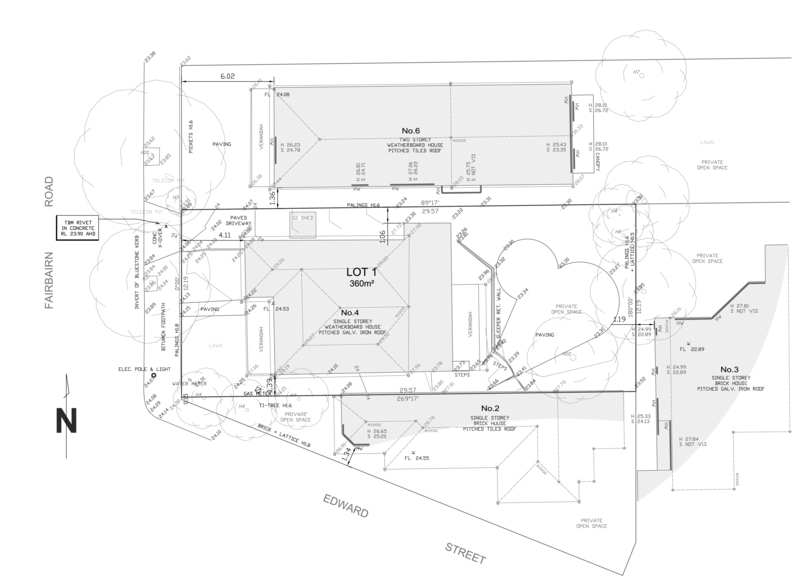 The preparation of shadow diagrams requires certain information relating to heights of buildings, fences, walls and ground levels. This information can be obtained by engaging a land surveyor that uses accurate equipment to measure heights, and also prepare plans of the subject site as well as surrounding neighbouring structures and ground levels relevant to the proposed building work. The information for the heights of structures and ground levels is referred to as R.L's (reduced level) The R.L is a vertical dimension / distance from a point determined by the person doing the survey.